With winter in full-swing, colds and the flu are more prevalent than ever. The reduced sunlight, minimal exposure to the outdoors, and harsh weather conditions have the immune system fighting hard to keep bad bacteria and viruses away. Rather than overload your body with medication which can be hard on the liver and gut bacteria, try using natural means to ward off colds first. 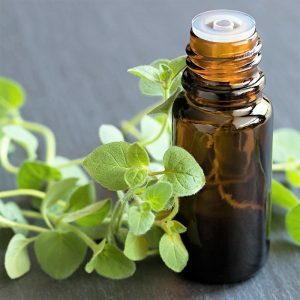 The healing properties of Oregano Oil are so powerful that having one drop a day throughout the winter months can help strengthen and maintain a strong immune system. This sweet-smelling and energizing oil has a number of beneficial properties. 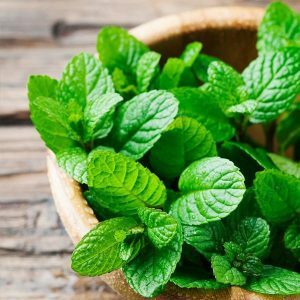 Among them, peppermint oil’s ability to reduce inflammation and soothe sinus pressure/pain makes it a go-to during the winter months. Dilute in a carrier oil (coconut, almond, jojoba) and rub onto your temples, neck, above ears, and chest to ease headaches and migraines. Diffuse or inhale its minty scent to clear up brain fog, fatigue, and increase energy. Dilute in a carrier oil and massage into sore muscles post-workout or from the flu. It’s anti-inflammatory and cooling properties relax tight or stiff muscles. Dilute in a carrier oil and massage onto your abdomen and lower back to ease gas pain, bloating, or aid in digestion. Inhaling this oil–through cupped hands or a diffuser can provide relief from asthma, sinusitis, congestion, cough, bronchitis, and pneumonia. For common cold and flu symptoms, diffuse and rub some oil on the bottom of your feet. You can also rub over sore muscles to ease common cold aches and stiffness. 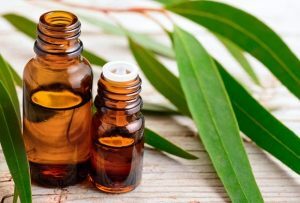 Due to its disinfectant properties, eucalyptus essential oil makes a great natural cleaning spray! Simply add 10-15 drops into a spray bottle of water and use on any work or home surface areas. doTERRA’s rich blend combines some of the most effective oils to support the immune system. 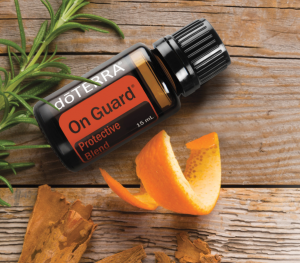 The uplifting, spicy notes of wild orange and clove mixed with the antibacterial properties of eucalyptus and rosemary work together to elevate the mood, boost the immune system, and promote healthy circulation. Have a couple drops of this oil directly, in a capsule, or diffuse to enjoy its benefits. You can also mix a few drops in water for a natural disinfectant or sanitizer! Word of Caution: Essential oils are very potent, meaning one or two drops go a long way. That being said, always patch test on the inside of your wrist before use, and dilute with a carrier oil (coconut, almond, jojoba…) to make it easier on the skin. If you plan on consuming the oil in the form of a capsule or directly, make sure your oil is of the purest form. Pick up your essential oils from our clinic now! 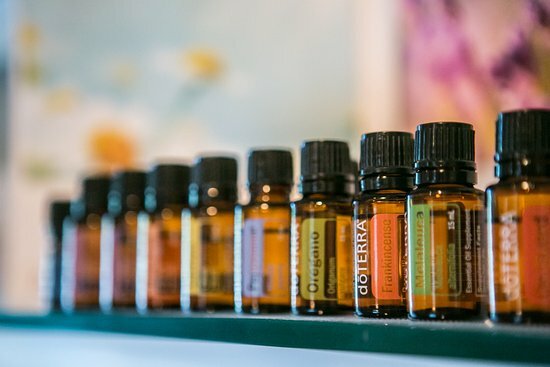 At Elite Physio, we have a range of doTERRA essential oils, from single oils to powerful blends. Whether you want to soothe cold and flu symptoms, elevate or calm your mood, or simply fill your house with soothing scents, we can accommodate you. Give us a call at 905-997-8337 or send us an email at info@elitephysio.ca to find out more. Please be advised that nothing in this article is a substitute for professional care administered by a healthcare practitioner.